For many working women (and men) today, the age-old topic of work-life balance is not just a conversation starter reserved for dinner parties and coffee dates, it is a very real, daily challenge. 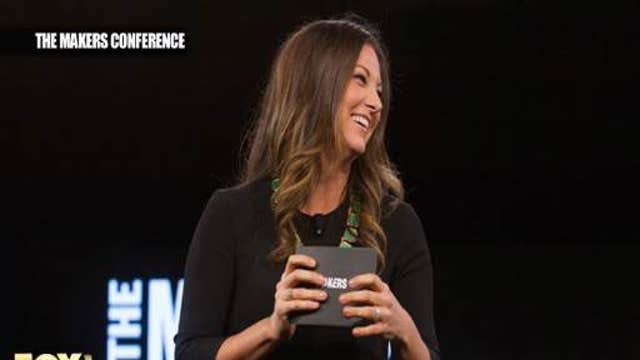 At the first AOL MAKERS Women’s Conference in February, more than 500 women and men got together to celebrate how dynamic women are shifting the landscape for future female groundbreakers and to look for a solution in terms of resetting the agenda for women in the workplace. Sullivan says the conference was a natural extension for the original video series put together by PBS and AOL (NYSE:AOL), which is an online library and digital community of innovative "Women Who Make America." She says the work-life balance discussion focused on: What are MAKERS reaching for today, whether within their own company or themselves? How do they manage their professional lives? And, how can that be a model and example to others? And the event wasn&apos;t just for women. It was really important to us to include both men and women in the conversation. What was most exciting about the conference, Sullivan says, was that many of these MAKERS were so eager to connect with the next generation of women trailblazers. “They’re looking forward, too, and they want to know, they blazed a trail, [so] who’s following behind,” she says. Some of the conference’s guests included Facebook (NASDAQ:FB) COO Sheryl Sandberg, former U.S. Rep. Gabrielle Giffords, SpaceX president and COO Gwynne Shotwell, Coca-Cola Co (NYSE:KO) vice president Wendy Clark, comedian Chelsea Handler, Marie Claire editor-in-chief Anne Fulenwider and PwC chairman Bob Moritz. The MAKERS selection process is an intense one. Sullivan says they look for “people who are activists, who are trailblazers,” such as Hillary Clinton and Condoleezza Rice, but then also try to uncover some of the unknown stories. She says she often gets asked what the one “secret thing” is that ties these women together. But, she says, the answer is there isn’t that “one thing” -- as they each have their own secret sauce. “We call it the DNA of a MAKER,” she says. Sullivan says the MAKERS series videos are edited in a way that caters to how users consume content today: short clips that viewers can watch a few minutes at a time. “You don’t need to sit down for an hour to get inspired by some of these groundbreaking women,” she says. When asked which women trailblazers inspired her and helped shape her views on what being a strong woman in today’s culture means, Sullivan quickly answers. “I feel like I have a multitude of mentors from women within my own family … my Mom, my grandmothers, who I think were trailblazers in their own right,” she says, adding that the list extends to amazing teachers, businesswomen and the MAKERS on the site. “The mantra I live by is ‘be the colleague or be the leader that you’d want to work for, or that you’d want to work with.&apos;"
So far, 237 women’s stories have been chronicled on MAKERS.com, and Sullivan says new tech developments underway at AOL will allow them to post millions more. “We want to be the largest collection of women’s stories ever assembled, which means we need technology to empower everyone to be able to tell their MAKER stories,” Sullivan says. “And I hope MAKERS is a shining example of that," she says.